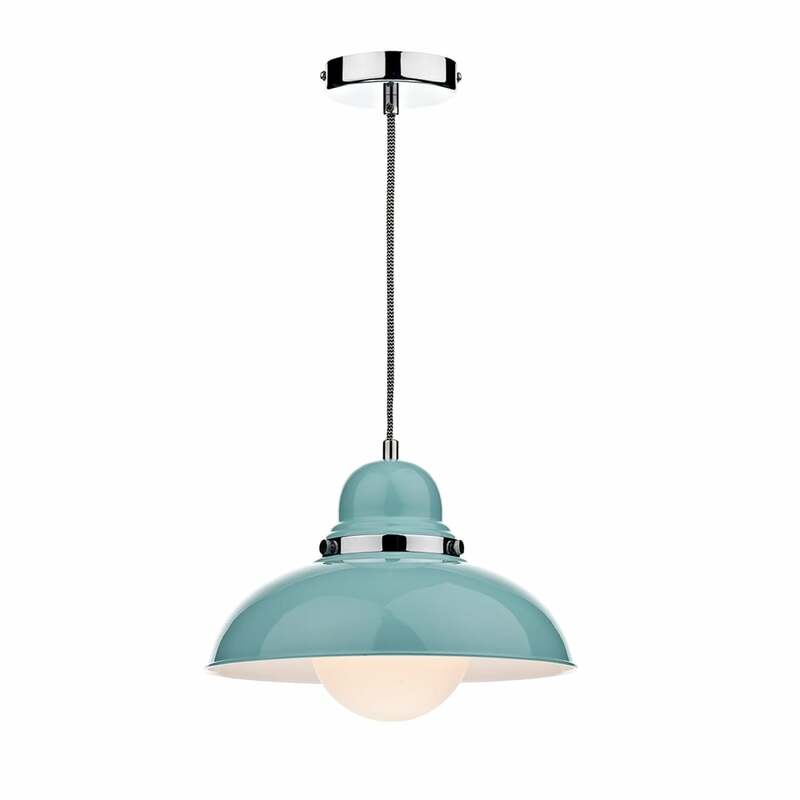 Dar Lighting Dynamo single light ceiling pendant is a salute to a by-gone era with it's pale blue glossy domed shades on a polished chrome fitting. The product code for this Dar ceiling fitting is DYN0123. This retro styled pendant will add a vintage look to any room within your home and looks great grouped together or hung individually over kitchen islands or dining tables. Double insulated and height adjustable at the point of installation. The Dynamo is a well designed collection with a true retro feel, enabling you to create a co-ordinated look with table lamps and a variety of ceiling fittings included in the range, which can be viewed on our website.